I saw the King Tut exhibit in the 1970s, traveling from Arizona to San Francisco just for the occasion. That exhibit brought 50 of King Tut’s tomb items around the country, causing mob scenes (well, a lot of people anyway) in the form of record attendance. I saw a fair amount of Tut goods in Cairo’s Egyptian Museum when traveling there in 1995. 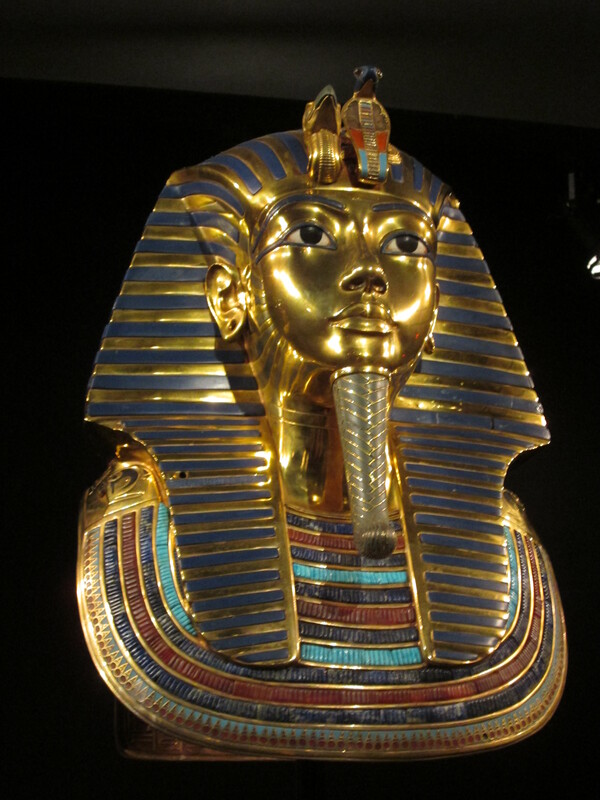 And then when another Tut exhibit came through in 2010 (with 50 moretomb items), and I saw it again in San Francisco AND New York (the advantage to living in both places during their run). Read more about that King Tut exhibit here. We don’t have any pets at our house (unless you count fish), but I do like dogs and cats. 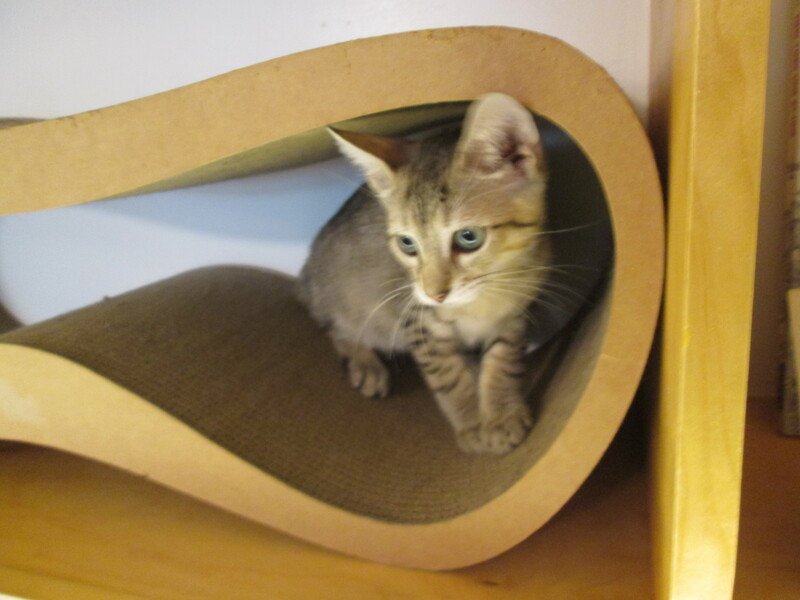 I first heard about cat cafes while watching the Amazing Race. 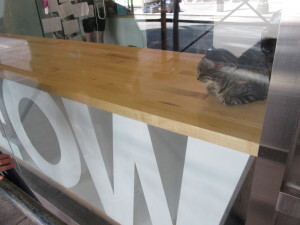 And then I found out there was one in New York City – it’s called Meow Parlour. 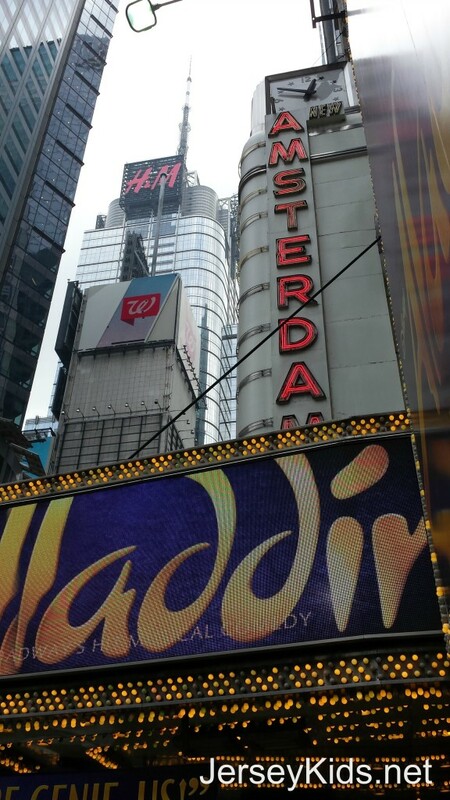 My kids freaked out and couldn’t wait to go. The Meow Parlour in New York City. Photo copyright Deborah Abrams Kaplan. 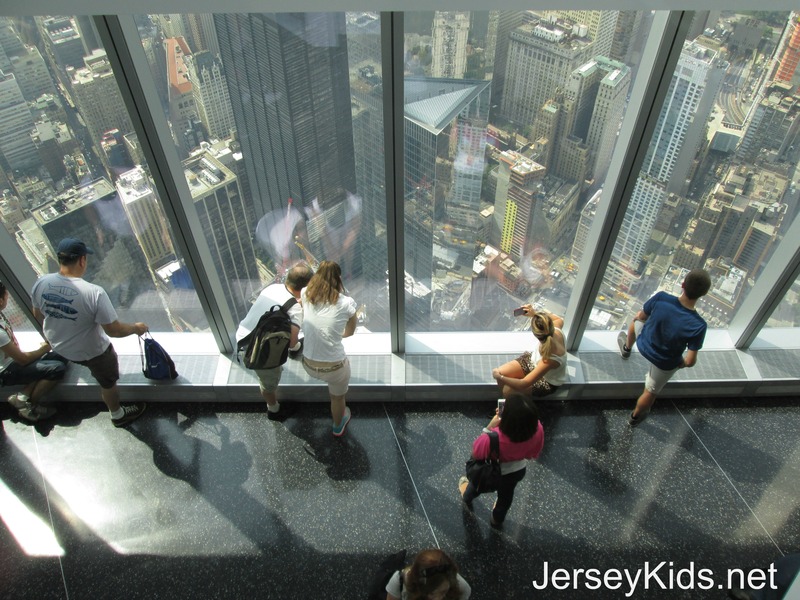 To be honest, I was a little nervous to go to the top of One World Trade Center. I wasn’t in the East Coast on September 11, 2001 but it’s impossible not to think about what a target this building is, and how high I would be, trapped if something similar happened. Okay, getting the creepy feelings out of the way early! 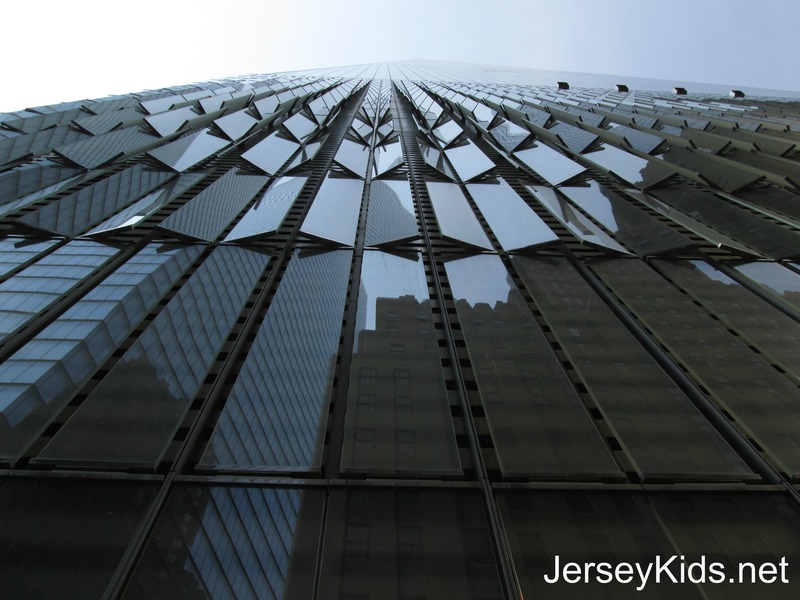 One World Observatory opened to the public in late May, 2015. 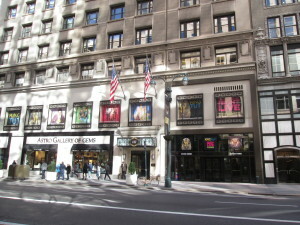 The building opened to tenants the previous November. While I did a more comprehensive review of taking the kids to the Liberty Science Center for a previous post, I was there recently and wanted to fill you in on some of the changes and new exhibits. 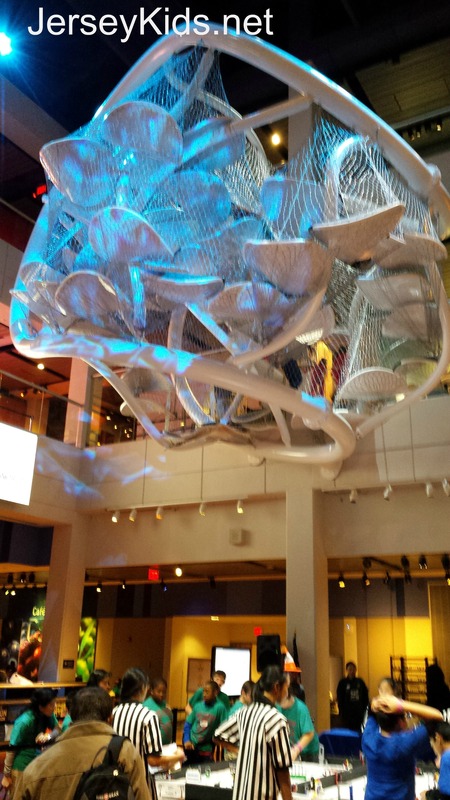 The most exciting is the new Infinity Climber, which finished installation a few weeks ago. This “multi-story play space” is suspended 35 feet above the ground. It has 64 petal platforms (they look like lily pads), to climb on, taking you higher and lower. It’s surrounded by a net, which is stiff enough to keep you in, but not so stiff that it hurts. 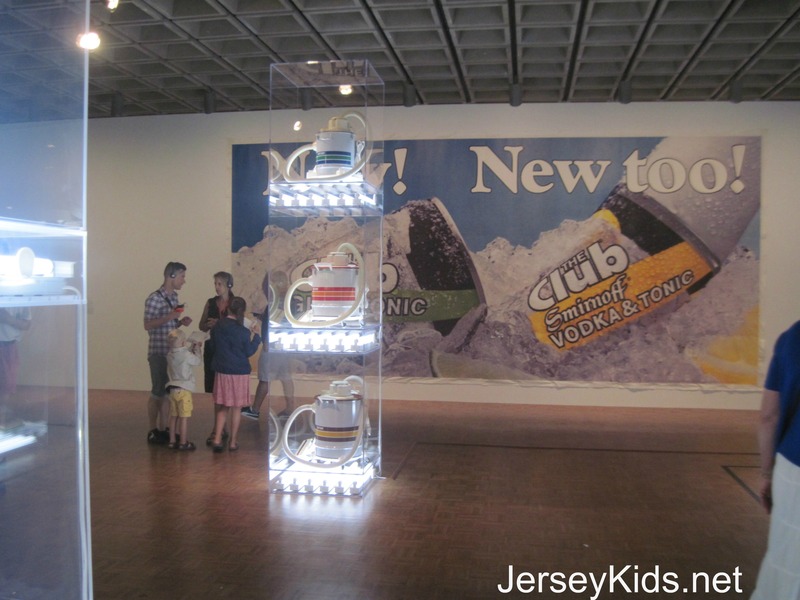 Review: Jeff Koons Retrospective at the Whitney – Should you Bring Kids? I had one thought when walking up to the Whitney Museum, to see the Jeff Koons’ retrospective. Thank God we were getting in via the corporate sponsor ticket line. That regular line snaked out the building and around the corner, and it was LONG. 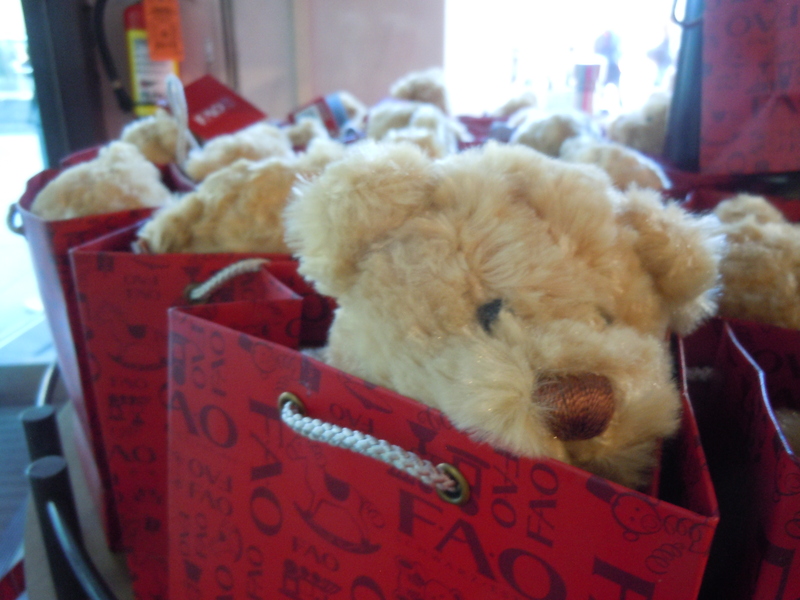 We only had to wait behind four people who were either members or also worked for corporate sponsors. The lesson here: if you aren’t either category, expect a long line. 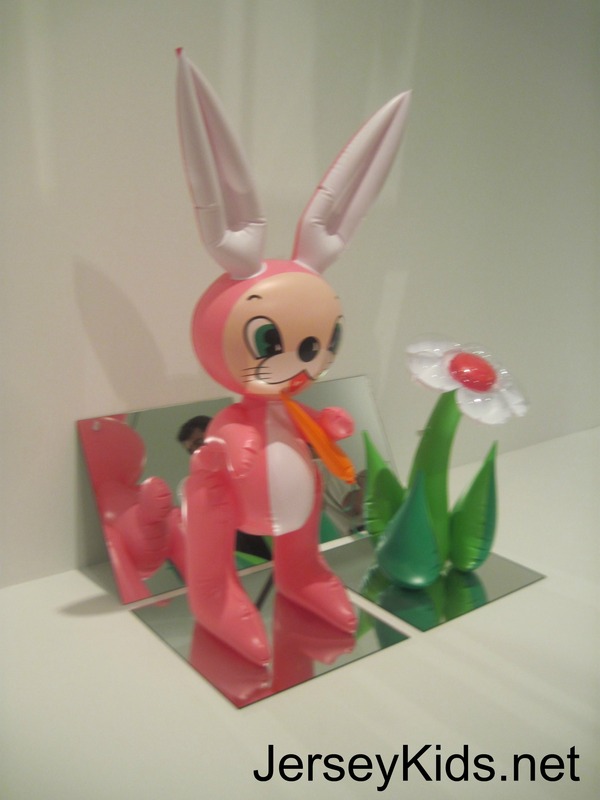 I learned a bit about Jeff Koons during my modern art history college classes, but after going through this four story retrospective, I realized just how little I actually knew. Get the free audio guide (you can listen to parts of it here) or take a tour. The signage is good too, but it’s nice having a little extra information. The retrospective covers 1978 to present, with 150 objects on display. 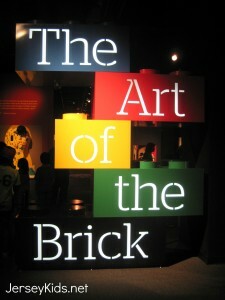 While not an exhibit intended specifically for kids, The Art of the Brick definitely appeals to kids. And to adults too. The positive message extolling the virtues of art, and Nathan Sawaya’s optimism, “art can be anything” brings a fresh air to the exhibit. You can even be a successful artist like Sawaya, after going to law school and doing corporate mergers for several years. My son now wants to be a LEGO artist. Well, he did before too, but now he wants to even more. 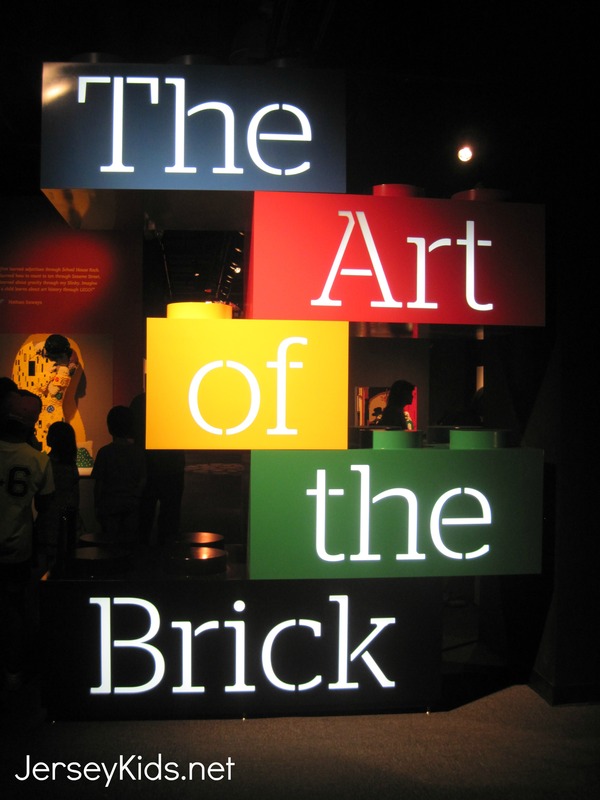 See below for discount ticket information for the Art of the Brick. The sign when you enter is probably the only thing in the exhibit NOT made of LEGOs (okay, the signs and tables aren’t LEGO either). Room after room continues to delight and surprise. 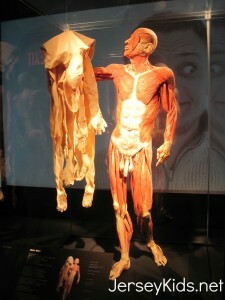 Review: Body Worlds: Pulse – Good for Kids? 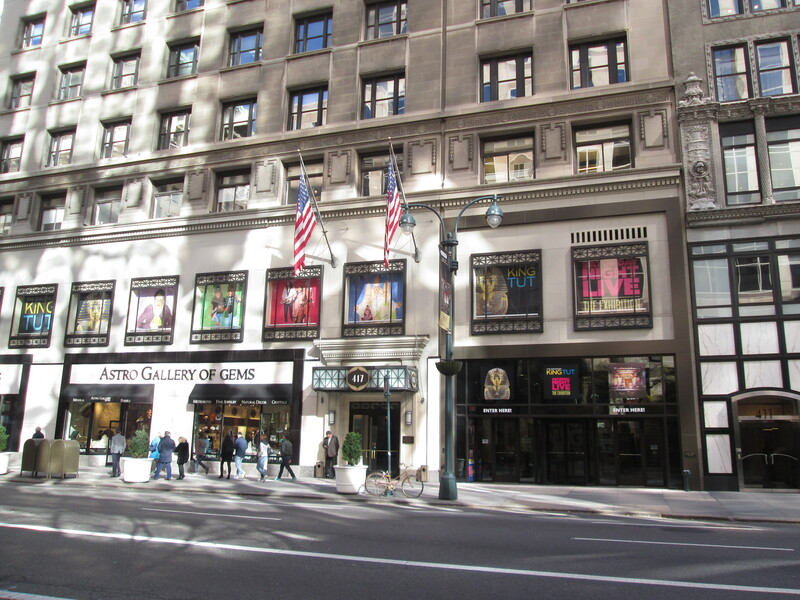 If you’re unsure whether to bring your kids to Body Worlds: Pulse at Discovery Times Square, look at the pictures below. If you think they can handle these pictures, then go (more details below). This is the second “body” exhibition I’ve taken my kids to. The last one was probably in 2007 or 2008 when my kids were much younger. They still remember it, especially seeing the black lung from smoking. That had an impact on them. 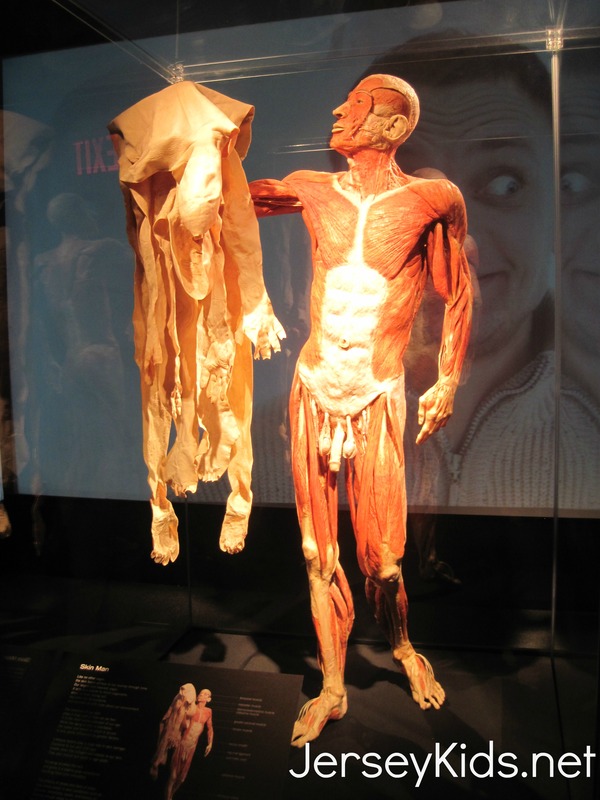 If you’re not familiar with the Body Worlds world, there is a lot of history behind it. Briefly, these people donated their bodies for plastination (controversial), the technique used here to preserve the body in various shapes. I’ll go into the process in more depth later. There’s a lot of controversy surrounding the Bodies exhibitions, ranging from whether people indeed DID donate their bodies, to the ethics of displaying bodies this way, to religious complaints, to the sale of plastinated organs and bodies. You can read more here – it’s quite interesting. You’ll start out with a video which I found stressful. It talked about stress and the pace of life these days. The video was captivating (and frenetic) in that it was made with drawings of people and things that were done during the video (but sped up). For the first time in history there are more people that are over age 60, than under age 5. The show uses the plastinated bodies and organs to talk about health, how the body shows its health, how to stay healthy, focusing on areas like happiness, blood pressure, exercise, stress and food. And it shows how the body works. If you perk up when you hear about divers finding sunken wrecks full of precious metals, Shipwreck: Pirates and Treasure exhibit at Discovery Times Square would be a good one for you. Groupon has discounted tickets as I post this, but act quickly. If you’re new to Groupon, get the tickets here. If you’re already a Groupon user, get the tickets here. Search under Long Island, NY in the search bar on top for “Shipwreck.” Tickets on Groupon are $12-15 (kid/adult), which is a savings. Read the Groupon fine print before buying. As you might imagine, treasure seeking is a high tech affair. 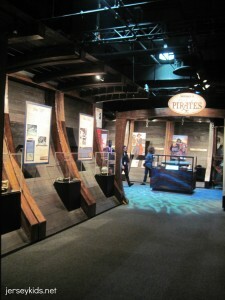 The exhibit focuses on finds from Odyssey Marine Exploration, a deep ocean exploration public company (NasdaqCM: OMEX) that salvages items from shipwrecks and does mineral exploration. They choose from the 6,500 shipwrecks in their database, evaluating them based on archeological importance, claims to the property, and other factors.